I recently got a puppy named Curby. 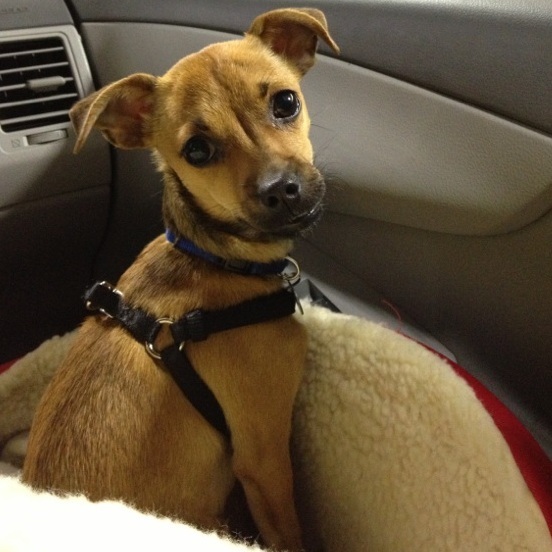 She’s a fearless little Chihuahua-mix that enjoys napping in laps, chewing on shoelaces, and sunbathing on the deck. At first I wasn’t sure how to include her in my regular budget, so I decided to record her expenses in my existing Envelopes and tag them with #Curby in the notes section. This would let me keep track of how much I spent on her, without having to change my existing budget. It wouldn’t work as well if my Curby expenses outweighted my regular expenses, but how much could a little dog cost? A month later, Goodbudget showed me the answer. I went to my Spending by Envelope Report and selected “Curby” under the Tagged filter to see how much I spent. Tiny as she is, expenses for Curby grew bigger and bigger—a squeaky chew toy here, gummy bear-flavored shampoo there, not to mention her shots and food. At over $40 a month, it became clear that I couldn’t fit Curby into my existing Envelopes anymore. I had to create a new Envelope just for her, but where would the money come from? 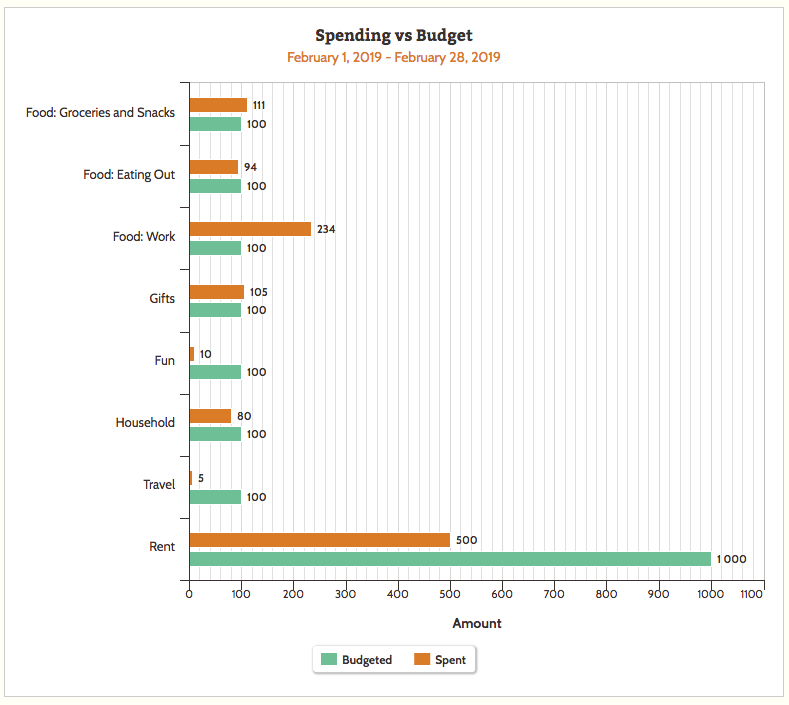 I took a look at my Spending vs Budget Report and learned that on average, I’ve been consistently under budget for my “Fun” and “Travel” Envelopes. I could lower their budgets and use the extra money to create a “Curby” Envelope! In order to free up some more funds, I also lowered my “Eating Out” budget and added it to the “Curby” Envelope. This made sense since I’ve been eating out less during the week in order to spend more time with her. 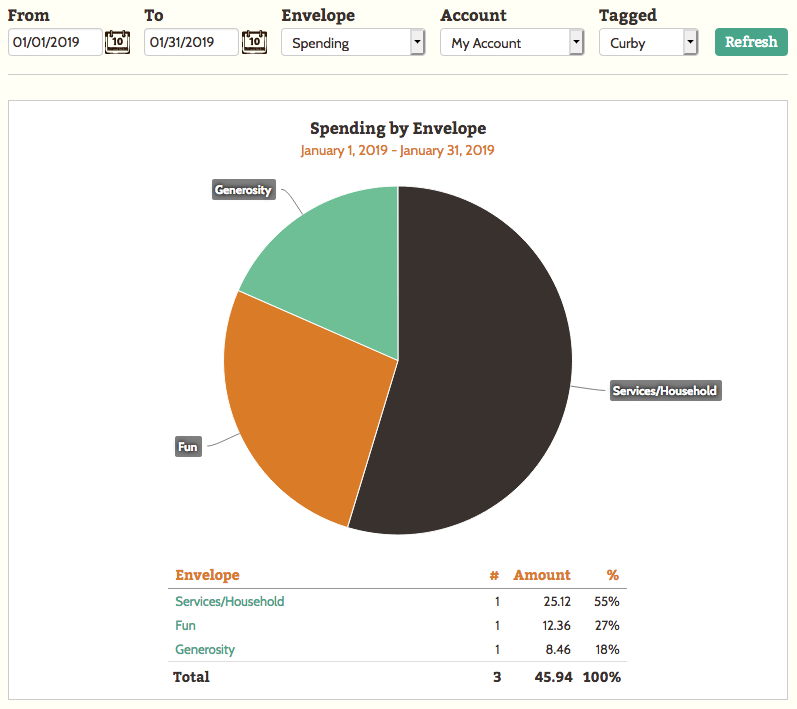 Now that I’ve given Curby her own Envelope, I can better track my spending on her and use the Reports in Goodbudget to make adjustments next month if I need to.